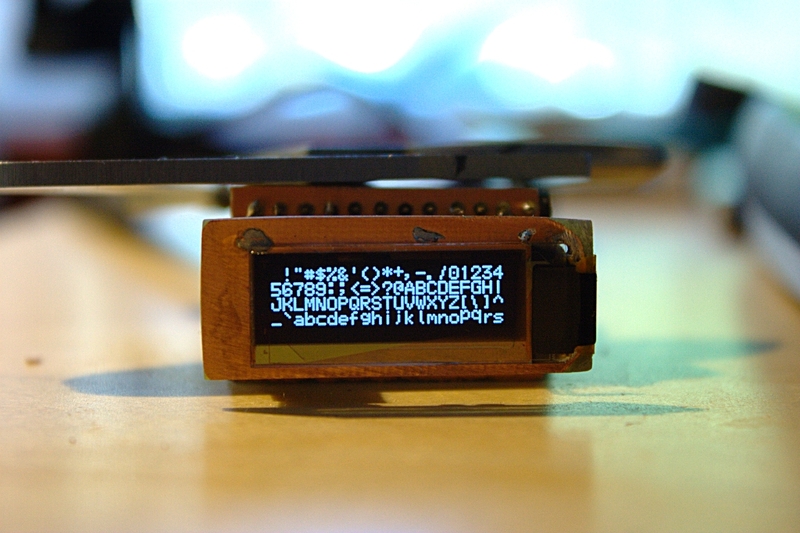 I needed a display for a project of mine and was just going to use a regular HD44780 -based text LCD display, until I spotted some very neat looking TINY OLED-displays from eBay. The displays are monochrome 128×32 pixel displays with a 4-wire SPI bus and they are around 30x11mm in size (the actual display area is under an inch diagonally!). The exact type of the displays is UG-2832HSWEG04. I found a datasheet for the displays and a datasheet for the actual display controller (SSD1306) and they seemed easy enough to use so I ordered a two of them for just $13. The first big question mark was the connector for the displays because they didn’t really have one. The displays have a what is called “hot bar solderable” flex-cable (0.7mm pitch) which just has some contacts in the end of the cable and then you just solder it to your board. I was kind of worried the cable might melt or something else would go wrong. Mounting the first display DID go wrong but that was because of my own carelessness. 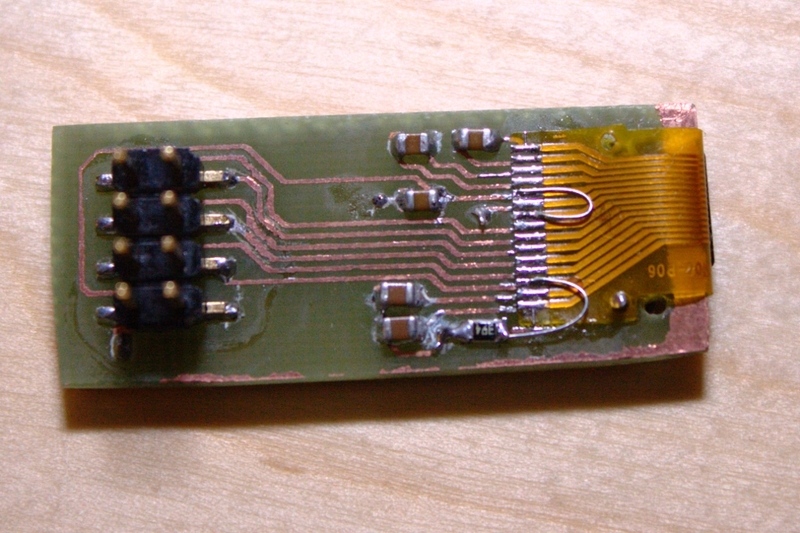 I was trying to “sandwich” the flex cable in between the adapter PCB and another small piece of PCB with two pins through the mounting holes in the flex-cable, and accidentally poked a screwdriver through the flex-cable, d’oh! 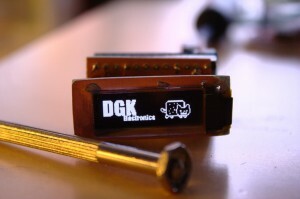 Mounting the second display went just fine, with enough flux it was easy to solder. I ended up gluing the display to the other side of the board, other option would have been to make some kind of a frame for it. You just basically need 5 capacitors and one resistor for the display. 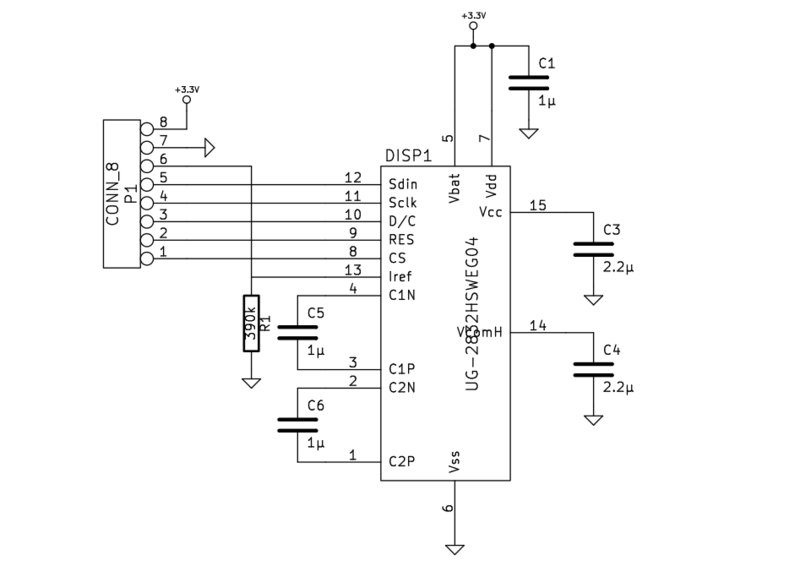 The display has an internal DC/DC converter that generates the higher voltage for the panel. I wrote my own library for controlling the display with an Arduino pro mini. Controlling the display is pretty simple, only thing complicated with the display is that it requires quite a lot of configuration when the screen gets initialized. You also need to use 512 bytes of RAM to buffer the display. For testing the display I also wrote a Python script that converts a 128×32 pixel GIF-image to data that is suitable for the display (the display is indexed 8 bits per column, in four pages). are you compensating this in software? Hey Fadi! 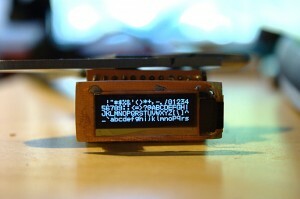 The level shifter makes the display compatible with 5V SPI bus voltage. 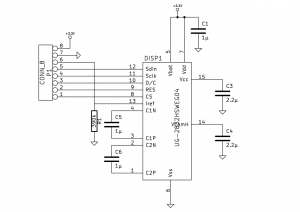 If you use 3.3V you do not need a level shifter. Hi. Where can I get such a fancy display? Hey Kris! I got mine from eBay, there are several sellers selling these displays.